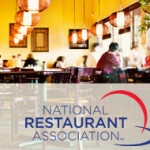 Survey results of close to 1,300 chefs from the American Culinary Federation, as part of the National Restaurant Association’s (NRA’s) annual “What’s Hot Culinary Forecast,” predicted little change in menu trends for 2015. Locally-sourced proteins and produce remain Nos. 1 and 2, respectively, for the third year in a row. Environmental sustainability and healthful kids’ meals stayed at Nos. 3 and 4. The greatest deviation in the top 10 list for 2015 is the absence of gluten-free cuisine. It was No. 5 last year, up from No. 8 the year before.